It's that time of the year again, time to be thankful for the friends and family in our lives. Thank you for being a part of what we do and supporting us over these past twenty years. We are so fortunate to have such a wonderful creative community and we could not do what we do without you. We want to send out special love and prayers to our friends in New York this morning. Molly and I first opened French General on Crosby Street in the heart of Manhattan - we were welcomed with open arms and will always remember the strength and resilience of our New York friends. Join us for our first Holiday Pop-Up Shop! 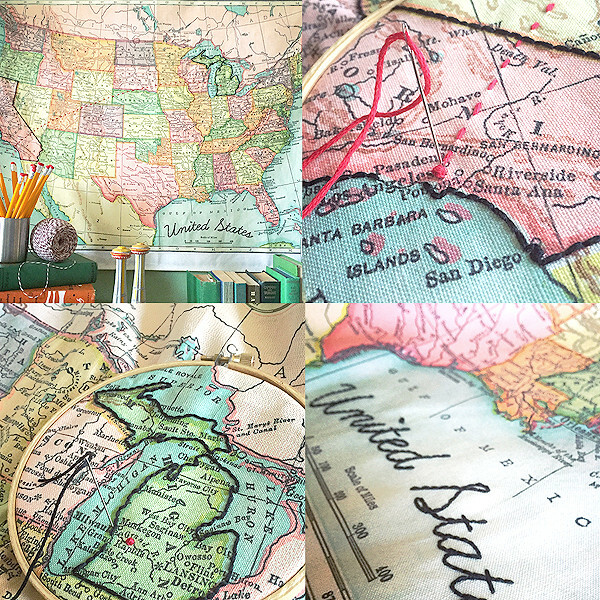 We've invited a handful of our favorite crafty friends to show off their art, kits and more. Pop by for some holiday cheer and pick up something special for everyone on your list. Our Fall 2017 collection, Atelier de France, celebrates the 20th Anniversary of French General. Twenty years ago, when we started French General, I began collecting the antique French fabrics that made my heart sing. The faded red florals, old tickings and small prints all seemed to blend together perfectly. It wasn’t until Cheryl, Lissa and Joanna from Moda Fabrics knocked on the front door of French General that I realized my treasures would make beautiful quilting fabrics. For Atelier de France, I chose some of my favorite prints and wovens and colored them in the classic French General palette of old reds, pinks, and neutrals. Each year, thousands of attendees come to see nearly 500 modern quilts on display, including 350 juried in from MQG members around the world. The conference features four days of workshops and lectures led by leading designers and quilters, and the show floor has dozens of vendors and exhibitors for days of shopping and fun. French General will, once again have a booth at QuiltCon featuring our hour-long workshops where you can stitch with our new French Embroidery Hoop, learn English Paper Piecing, crochet a necklace and more! ALSO....If you are coming for QuiltCon, join us for our weekend of workshops offered Saturday, February 17th through Tuesday, February 20th - our weekend workshops are listed below. Fine art quilter, Heidi Parkes, visiting from Milwaukee, Wisconsin will offer a very special one day class at French General. 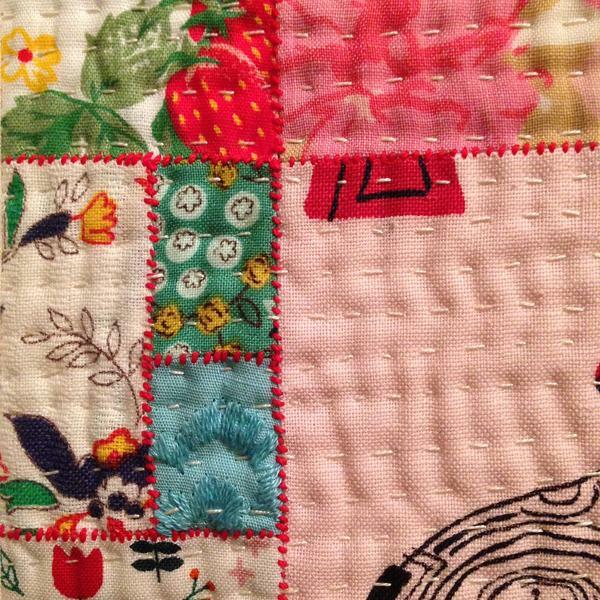 Learn a new approach to piecing and applique. 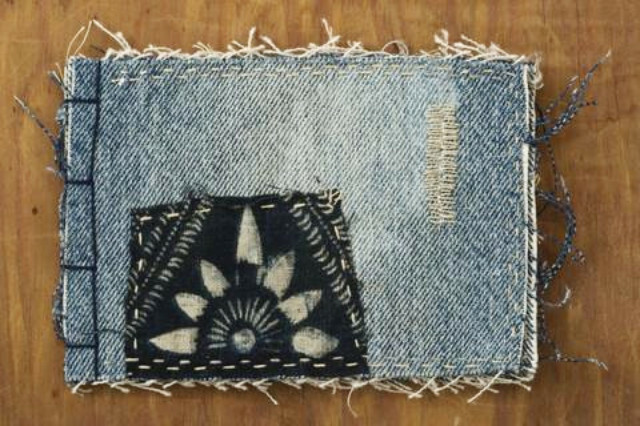 Both techniques can be employed with visible stitches, rather than the invisible stitches that are most common here in the states. Then, learn to experiment with the translucency of your fabrics, by layering and hand stitching. Join French General for a day of digging for treasures in downtown Los Angeles. We will go hunting for beads, baubles, buttons, fabric and inspiration! 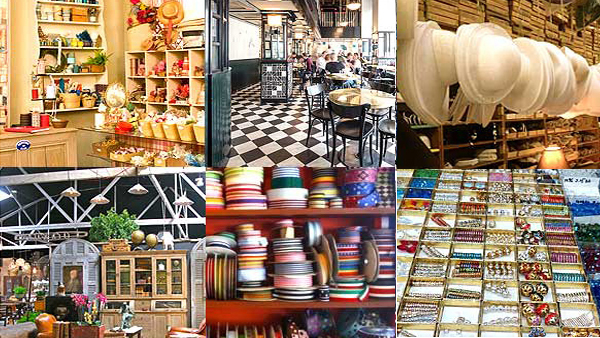 Meet at French General for a petit dejeuner and then drive downtown (less than 10 minutes away) where we will spend the morning at some of our favorite fabric, bead, and old millinery shops. Lunch at the Ace Hotel, one of our favorite downtown restaurants, and then more digging for gold! Spend a day learning how to use tiny stitches to create beautiful patterns on natural fibers. 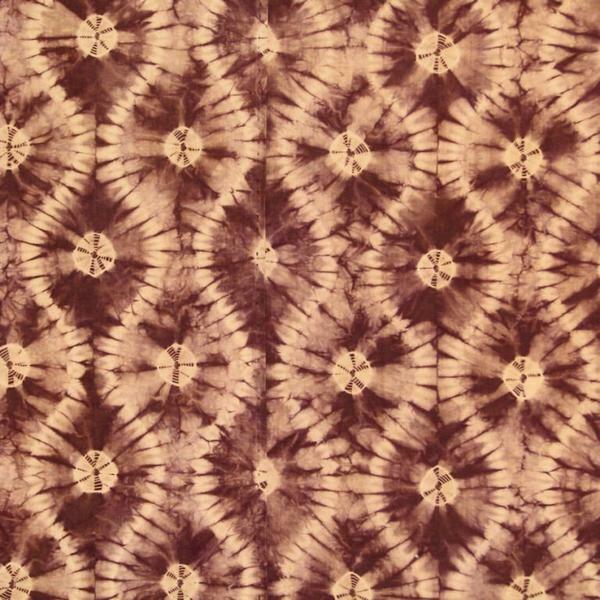 Join Monica Medeiros from Bricolage Press in Port Costa, California as she teaches you the ancient art of Japanese shibori. Students will have the chance to make up a handful of pieces and then enjoy dying the fabric in our natural vats. This is a great opportunity to make up swatches to use in the Jody Alexander Workshop on Sunday, February 18th. This workshop is part of French General's 4-day event leading up to Quilt Con which runs Thursday, February 22nd through Sunday, February 25th. Consider joining us for one or more of our workshops! Jody Alexander, of Wishi Washi Studio will be visiting Los Angeles and teaching her well-loved Boro Sampler Book workshop at French General. What I try to do in this class is teach students the language of Japanese Boro but then encourage them to use their own fabrics, palette and style to bring the Boro aesthetic to their own work - that will be unique to them. Each student gets five fabric "pages" to practice the different mending styles seen in Boro that I guide them through. It is fun to see how personal styles develop as the day goes on. At the end of class we bind them into a book using the Japanese side sewn binding. Join is for an afternoon with Lorraine Lovell from Hetties Patch in Adelaide, Australia. 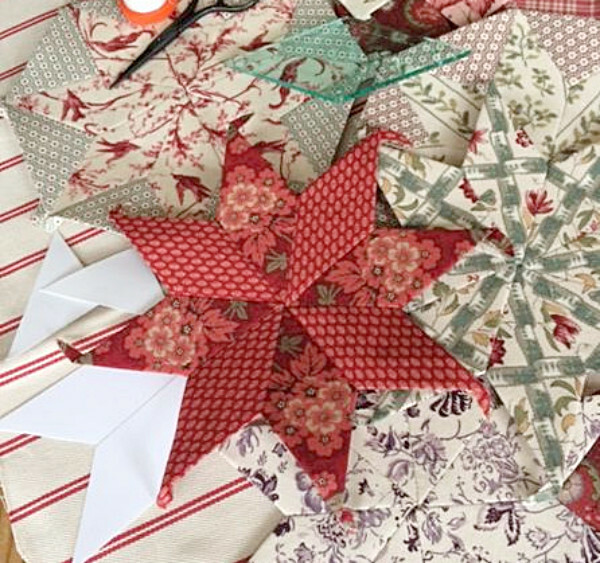 Lorraine will be teaching an afternoon of English Paper Piecing, a technique developed in the 19th century in rural England. Learning s simple technique to wrap fabric around paper patterns allows one to create magnificent shapes. Mimi Kirchner returns for another creative workshop at French General. 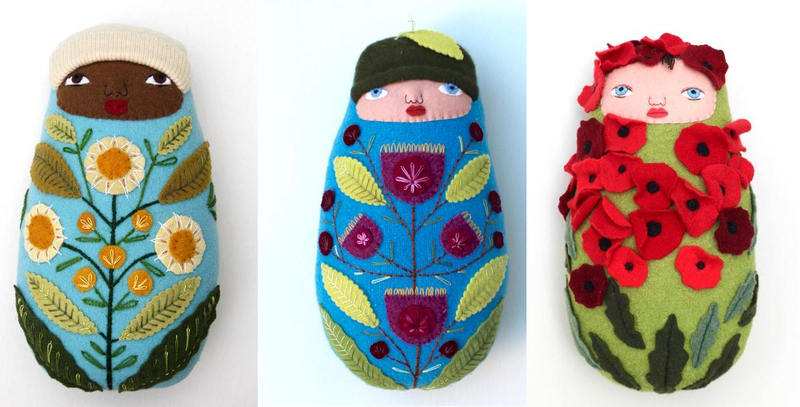 After Mimi's popular class last Spring, we invited her back to teach her Swaddled Baby - a beautiful wool felt applique workshop. Students will learn basic needle-sculpting to add dimension to the baby’s face and raw-edge wool applique to decorate the baby “blanket”. This is a two-day class from 10-3pm each day. When shopping at frenchgeneral.com remember to use our free shipping discount code bonjour if you live in the United States. If you live outside of the US, use discount code merci for $10 off of your shipping cost. We are sold out for our France Getaway 2018 - but please let us know if you would like to be put on the waiting list. It's that time of year to start thinking about your creative endeavors - learn a new skill, take a class, create something for a friend! We've got a handful of workshops planned for you - in Los Angeles and Texas too! Join us in the construction of your very own petite theatre. 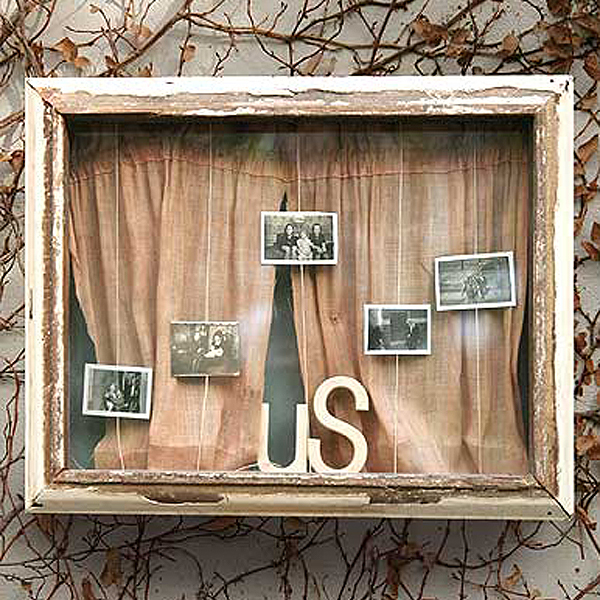 Learn the art of creating a small scene, framed within a vintage wood backdrop and your own special story to tell. Beginning with hand-crafted recycled-wood boxes, we will create our individual stories using vintage ephemera, photos and fabric. A fantastic way to display your keepsakes: have it standing up to show off your artwork, hanging on a wall, or lay it down and let the pages tell a story in themselves. 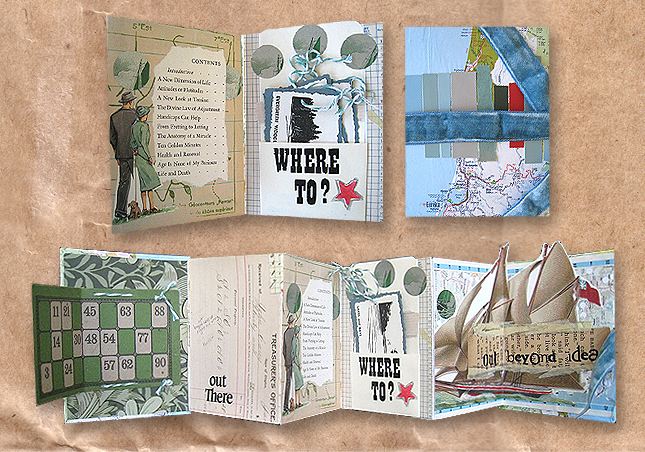 In this class you'll be creating a hard-backed, accordion-style book. You'll learn how to construct the book and it's pages, as well as advanced elements of collage for an ongoing themed-book. You'll have all the juicy ephemera, vintage photos, and stamping materials you can fit and, as always, I suggest for your own personal touch bring something that is uniquely yours to incorporate! 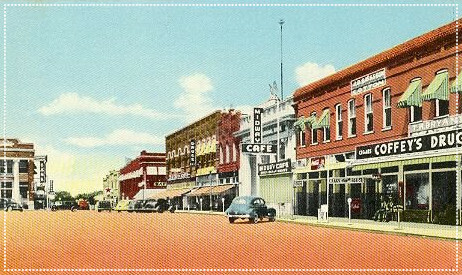 Join Kaari for two days of workshops and creativity in McKinney, Texas! Hosted by Magda Dia of Jump into Art and Robin Cook of Soho McKinney. French General will be in Houston at the International Quilt Market where we will be introducing our new collection, Jardin de Versaille, as well as teaching two workshops. 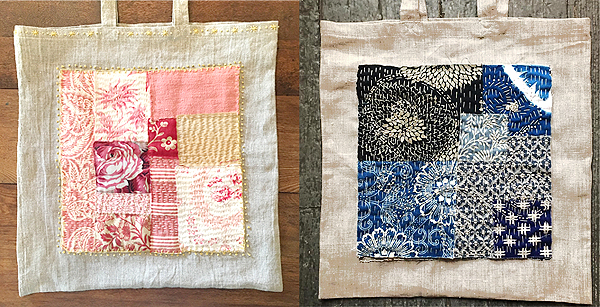 Using French General's collection of antique fabric scraps from the 19th and 20th centuries, hand piece a patchwork square and learn the art of Sashiko - a Japanese hand stitching/quilting technique. Once the patchwork is completed, students will stitch their patchwork to a linen tote, perfect for a traveling sewing bag. All materials are provided for this workshop. 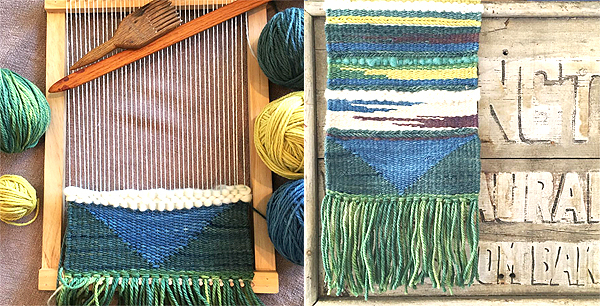 Using a modern tapestry loom, learn to warp the loom and then weave the weft. Instruction will include simple weaving techniques as well as rya, soumak and shape weaving. The yarns can be used to "paint" a picture across the supporting warp threads. Kaari will bring a selection of fibers to experiment with, as well as the traditional yarns. All materials, including looms, are provided for this workshop. Spend a day at French General in Los Angeles learning the beautiful art of Japanese Boro. We begin the day with coffee and a conversation about the design process, sewing with antique fabric and how to choose fabrics. 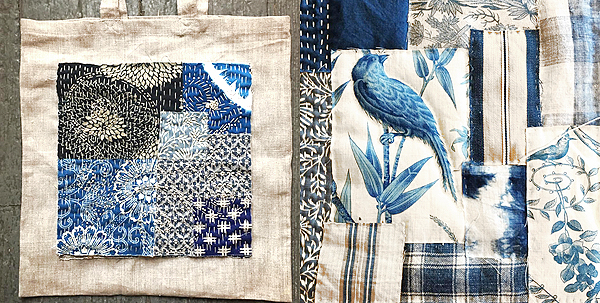 You will choose your own fabric from French General's collection of 19th century antique scraps and stitch a patchwork sewing bag - complete with boro patching and sashiko stitching. This is a day of slowing down, putting needle to cloth, and storytelling. Join French General for a day of digging for treasures in downtown Los Angeles! We will go hunting for beads, baubles, buttons, fabric and inspiration! Meet at French General for a petit dejeuner and then drive downtown (less than 10 minutes away) where we will spend the morning at some of our favorite fabric, bead, and old millinery shops. Lunch at the Ace Hotel, one of our favorite downtown restaurants, and then more digging for gold! Jody Alexander, of Wishi Washi Studio will be visiting Los Angeles and teaching her well-loved Boro Sampler Book workshop at French General. Limited seats available for this special class! French General is now open Fridays and Saturdays from 11-4pm.